Dogs have been widely used for their keen sense of smell to detect a variety of substances from drugs to mold. Specific breeds of dogs can contain over three hundred million receptors in their nose. In comparison, humans only have about thirty million. This helps them track scents in the rain, mud, and snow while being able to distinguish the smallest of differences. Recently, many facilities have been training dogs to sniff out live bed bugs in residential communities, hotel rooms, and other types of buildings. 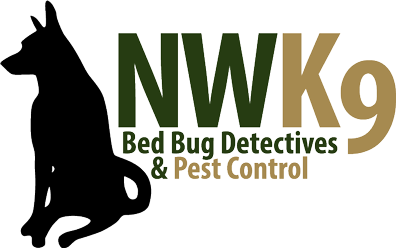 Due to the rise in serious infestations Seattle bed bug dog inspections are more in demand than ever before. While some individuals in the pest control industry are skeptical of using dogs for detection, these trained canines have 96% accuracy while people only have around 30%. These bloodsucking insects go through five stages of development, and in most phases they are no larger than a sesame seed. The eggs are off-white to yellowish in color which makes them hard to see on light colored bed sheets and carpet. Adults are no longer than an inch and extremely good at hiding. All these aspects act as camouflage so the insect can not be visually detected which is why more companies are relying on dogs. While it can take humans several hours to search a whole room, tearing apart furniture and tearing out floorboards to locate the bugs dogs can smell the presence of live infestations within minutes. With proven results like those you cannot afford to use any other method.